Stormzy linked up with a football legend. Stormzy joined ex-footballer David Beckham to launch Manchester United’s new away kit. The pair, who are brand ambassadors for Adidas, showcased the new red and blue shirt at an exclusive fan-only event in London’s Oxford Street. “It has been my dream to meet David Beckham since I was a youngster," said Stormzy. Beckham added: "It’s a fantastic feeling to be back in London. It is my home and I love this city. "It has been great to spend time meeting Man Utd fans at the adidas store – in particular Stormzy – whose music I enjoy and know well – as it is always pumping out from Brooklyn’s bedroom!" 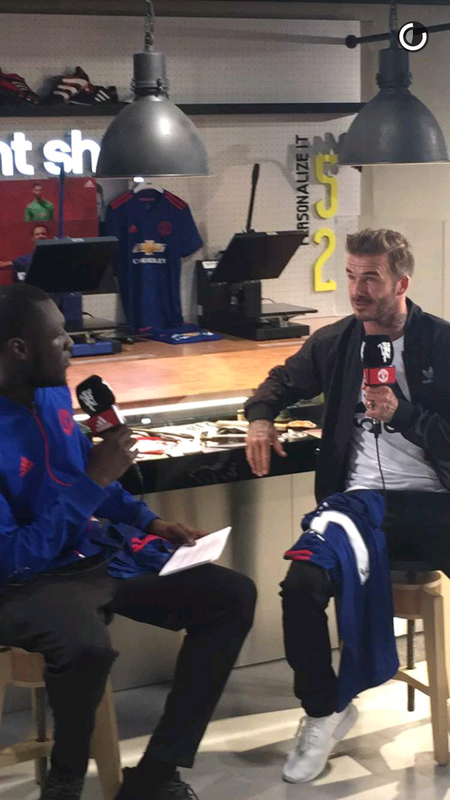 Stormzy caught all the action on his Snapchat account and previewed his upcoming interview with Beckham, which will be released on Adidas’ official YouTube channel. Meanwhile, Grime fans and artists have been reacting to Azealia Banks’ recent outburst about the genre. The ‘212’ rapper claimed that UK Rap was a “disgrace to rap culture”, in a vicious Twitter rant that also saw her racially abuse former One Direction star Zayn Malik.